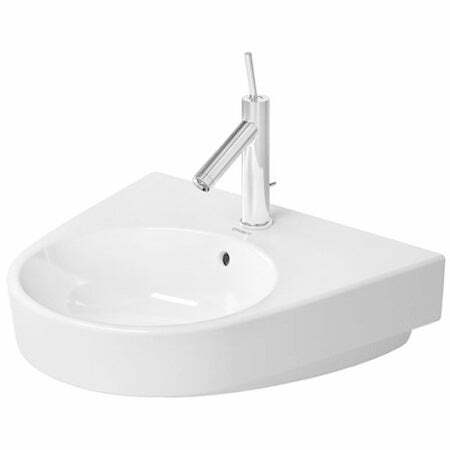 Incorporate a luxurious touch in even the smallest bathroom by adding this Duravit washbasin. The modest size and wall installation make the sink a versatile addition, while the deep basin allows more than enough space for washing hands. Dimensions 23.0 In. X 26.0 In. X 11.0 In.